Embrace your boss girl side with this oversized, staple shirt. Get that 'borrowed from your boyfriend' look without sacrificing your femininity. 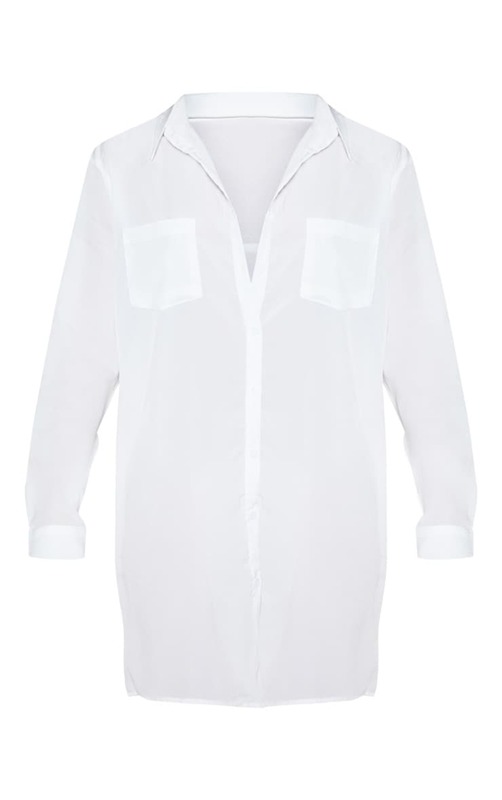 Style this button front white shirt with some strappy heels and statement hoops for a look we're loving.